This event takes place on 17/18 November 2012 at South Hill Park Arts Centre, Bracknell, Berkshire. One of my favourite venues. I have been showing here for a number of years. 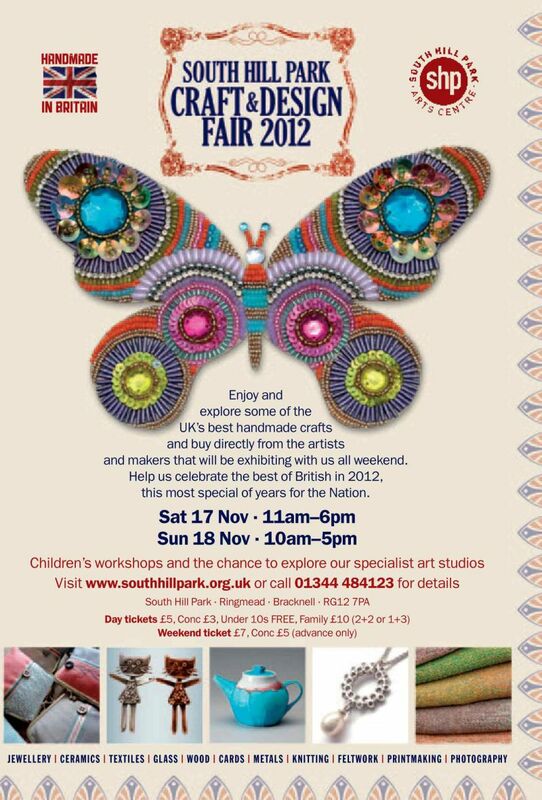 South Hill Park is a great venue with a large number of quality makers showing in rooms around the Arts Centre. This year, I have a stand on the ground floor of the Mansion House.